What follows is a Part 3 in a four=part series of snapshot-style reports on new (or at least new-ish) personal audio products seen at CanJam RMAF 2017. 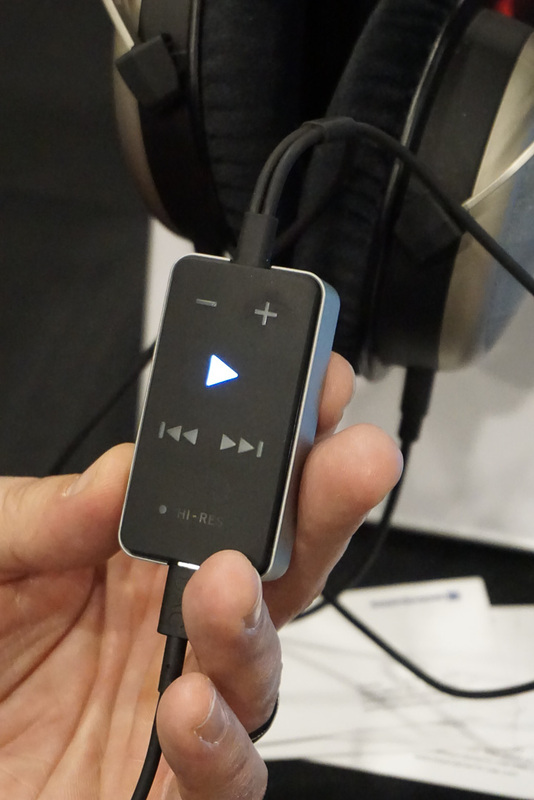 AR’s newest portable hi-res music player and Bluetooth streamer is the M200, priced at $399. The M200 features an AKM AK4490 DAC device, a built-in Class A headphone amplifier, and an aptX HD Bluetooth streaming interface. The M200 provides a Pentaconn balanced headphone output as well as a conventional 3.5mm single-ended output, plus a USB type-C port for charging. The player supports PCM files up to 192kHz and DSD files up to DSD128 (although DSD digital audio data is converted to PCM format before playback). The M200 offers 32GB of on-board storage with a slot for a single Micro SD card with capacity up to 256 GB. The M200 appears to offer an awful lot of functionality for the money. To help hold pricing down, the M200 is deliberately not an Android device, but rather is controlled by a proprietary RTOS (real-time operating system). 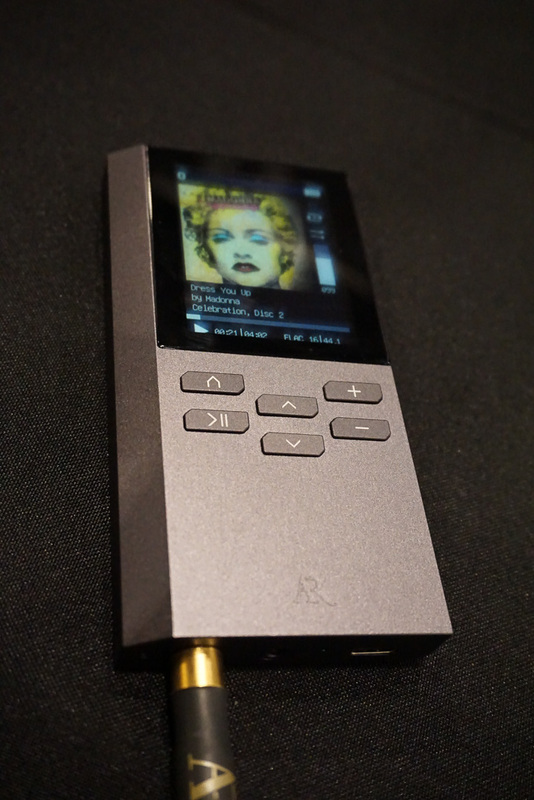 Showing a renewed emphasis on the more affordable entries in its product range Astell&Kern demonstrated its new AK70 MkII personal digital audio player, priced at $699. Compared to the original AK70, the new AK70 MkII features a dual DAC architecture (with separate left and right channel Cirrus Logic DACs) and a single-ended/balanced output amplifier where maximum balanced output is increased from 2.3V to 4V. The AK70 MkII supports PCM files at up to 24/192 and DSD files at up to DSD 128 (though DSD files are converted to PCM format prior to playback). 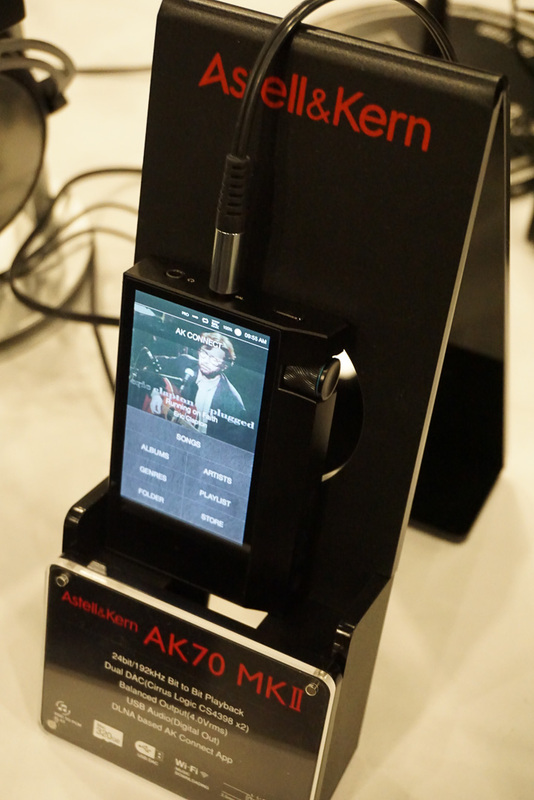 Astell&Kern points out that the AK70 Mk II is its first model to offer dual-DAC architecture with a selling price below $1000. Astell&Kern previewed its visually stunning (and very angular-looking) Acro 4000 desktop headphone amp/DAC, which is expected to sell for just under $1000. 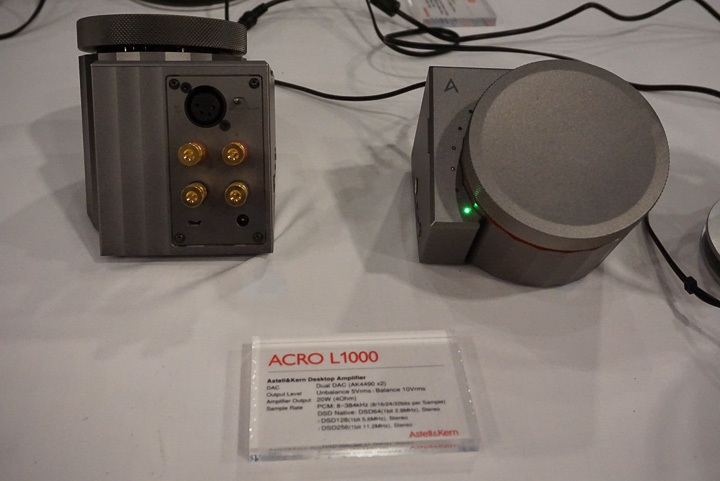 The Acro 4000 uses an AKM K4490 DAC device and provides both single-ended and balanced amplifier outputs (the amp/DAC sports 3.5mm and 6.35mm single-ended outputs and a 2.5mm balanced output jack). Maximum power output is said to be 20 watts/channel at 4 ohms. The amplifier provides three switch selectable modes labelled ‘AK’, ‘Hi Gain’, and ‘Bass Boost’. Many listeners are familiar with Audeze’s iSINE-series planar magnetic earphones, which can be driven as passive earphones, but which sound better using iSINE-specific active CIPHER cables that incorporate a compact in-line DAC/Amp/DSP module, with the latter providing a measure of iSINE-specific voicing correction. By comparison, Audeze’s flagship LCD-i4 planar magnetic earphone offer much more linear frequency response than the iSINE models do, so that it is typically run as a passive device that can be powered from DAPs, small portable amp/DACs, or even directly from smartphones and tablets. 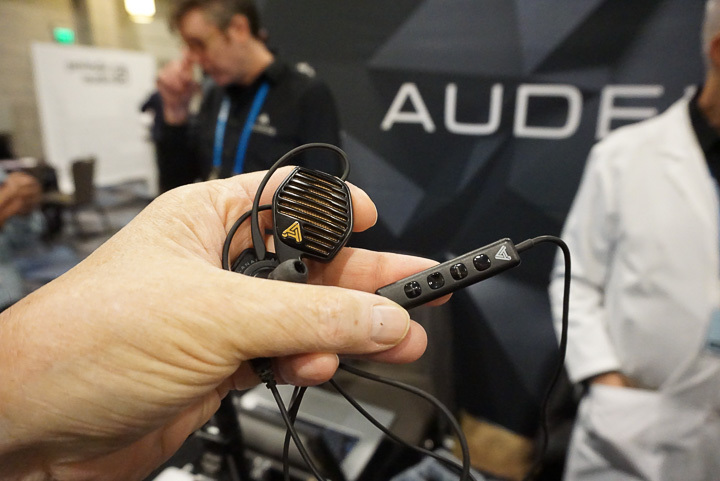 Still, Audeze was aware that many LCD-i4 owners and prospective customers were interested in driving their earphones from Apple iDevices equipped with Lightning connectors. With this thought in mind, Audeze has created an LCD-i4-specific, Lightning Cipher cable that will be offered upon request at no charge for current or future LCD-i4 owners. Cool, no? Beyerdynamics' Impacto Essential and Impacto Universal portable headphone amp/DACs are essentially two almost identical variations on a common theme, the only difference being that the Impacto Universal ($379) comes with cables allowing connectivity both for Apple and Android devices, while Impacto Essential ($329) is geared for use with Android devices only. Either way, the Impacto models represent what the German firm term “high-res cable DACs” that serve as effective portable amp/DACs for popular Beyerdynamics headphones such as the second-generation T1 Tesla or T5p, or the new Amiron Home headphone. The Impacto amp/DACs are based on ESS Sabre9018Q2 Sabre32 Reference DAC and offer decoding for PCM files up to 32/384 or for DSD64 files. Power output is 50mW at 32 ohms or 7mW at 600 ohms. 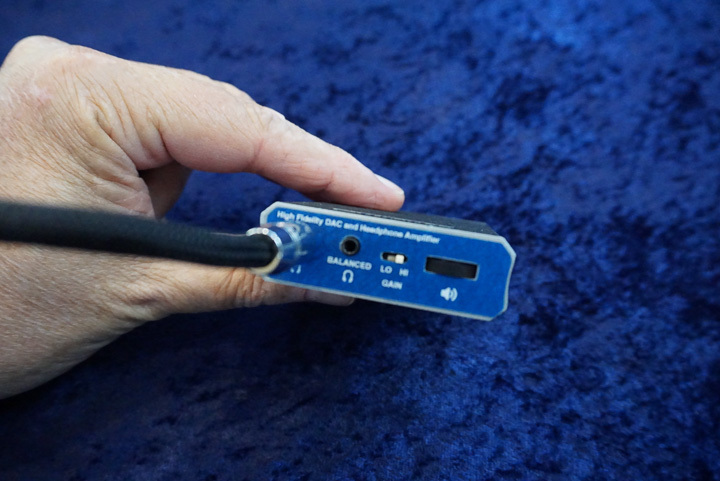 The Illinois-based firm CEntrance showed its promising new Blue DAC, which can be used as a wired or wireless Bluetooth compact, portable, USB headphone amp/DAC that provides both single-ended and balanced outputs and that offers both hi and low gain settings. Playing time for the Blue DAC is about 12 hours in Bluetooth mode or 8 hours in USB mode. The price: $399. By the time you read this Chord’s brilliant clip-on streaming module for the Mojo portable amplifier will have, at long last, been released, with a price of £499. The Poly adds extensive Bluetooth and Wi-Fi streaming capabilities for the Mojo and is, by design pretty playback app ‘agnostic’—meaning users are emphatically not locked in to any one specific music playback app. 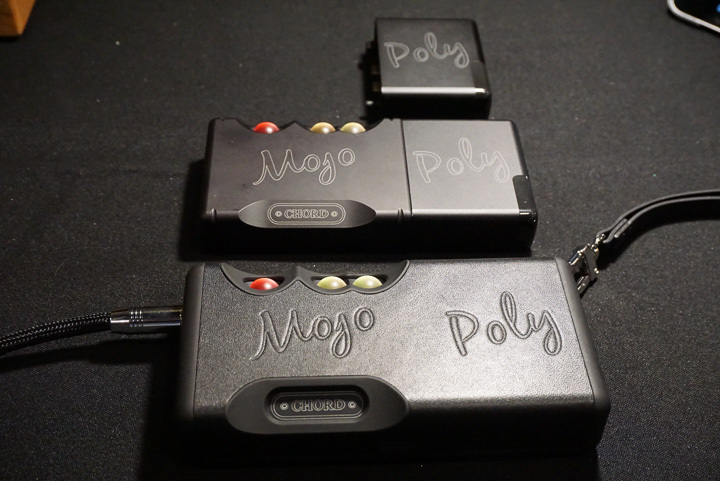 Hi-Fi+ Editor Alan Sircom is already in possession of a product sample of the Poly, so readers can expect a review of the so-called ‘Mojopoly’ combo in the near future.